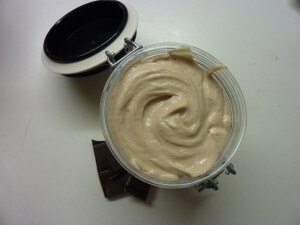 Anna on her blog published a recipe for Chocolate mousse body butter.It’s been some time I made my last whipped butter and this recipe just made me want to make one again! 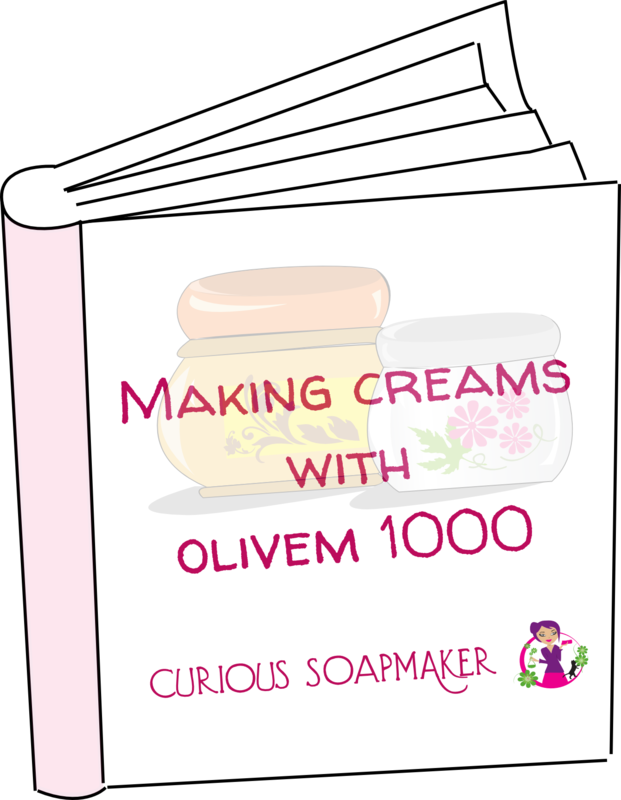 The original recipe is pure oils and butters, very natural. Having for some time at my possesion a very interesting ingredient called Isopropyl myristate (IPM). However, it is comedogenic so should not be used for acne-prone skin. For IPM to work in a 100% oil product, we need a larger quantity – the recipes I read say up to 33%. 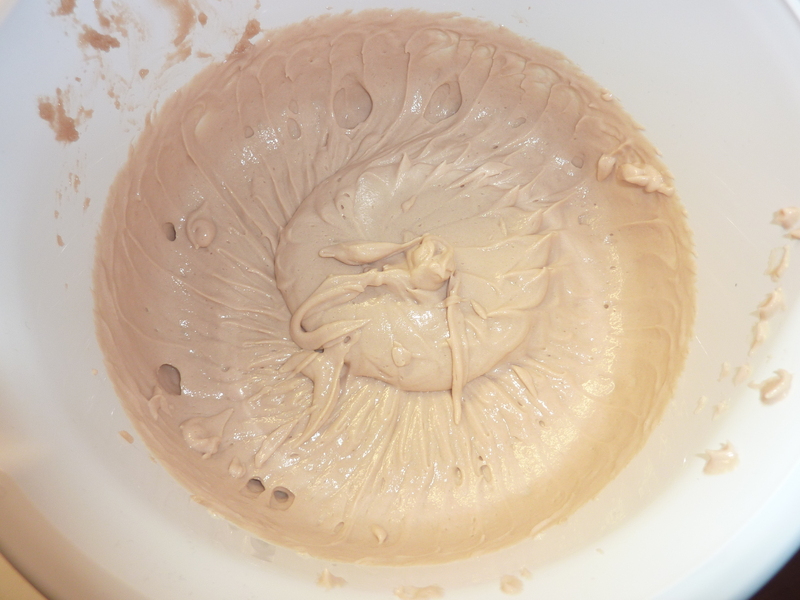 Therefore I had to change proportions of ingredients and substitute IPM for part of butters. This meant I needed to add beeswax to make it harder again. I also substituted dark chocolate I had at hand for cocoa powder and did not add essential oils, just because I used grapeseed oil infused with vanilla, more cocoa butter and chocolate, which all smell great already. 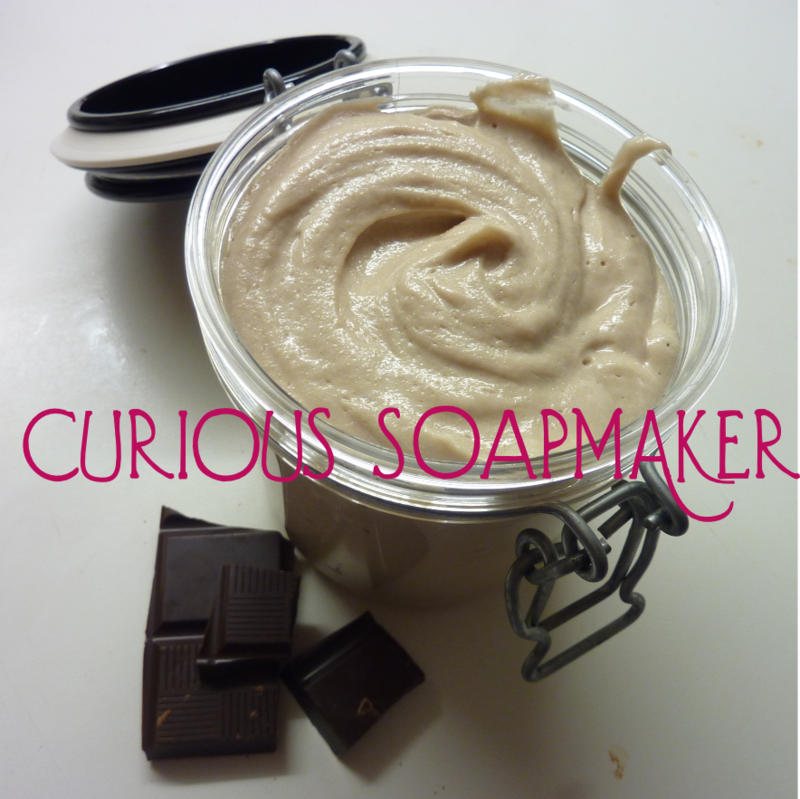 … it was worthy, it really does smell good and soaks into my skin very quickly! Here is the original and my adjusted recipe (for comparison) – the original recipe is in cups, so I estimated percentages. 2. After melting, I put everything into the fridge overnight. Left overnight (it was late already), then in the morning let it at room temperature. This butter is really yummy, soft, whipped and can be easily absorbed! 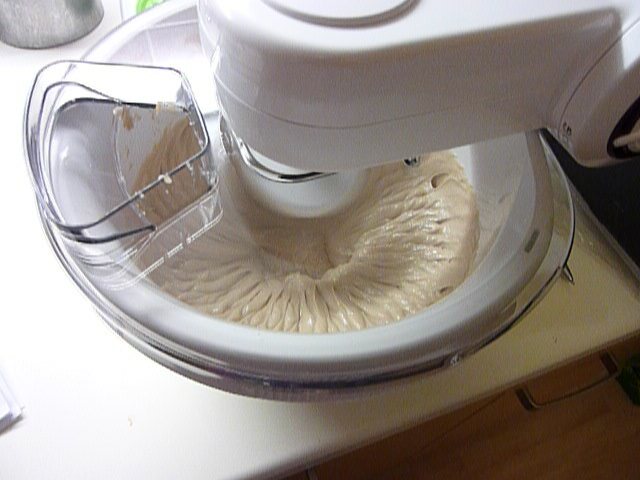 Do you have any favorite body butter recipes? This entry was posted by evik on January 16, 2014 at 01:52, and is filed under body. Follow any responses to this post through RSS 2.0.You can leave a response or trackback from your own site. Evik, your body butter looks really good too! It looks more loose then the original one, but I am sure it absorbs well. Great idea on adding real dark chocolate to it!! Hi Agnes, if you mean if it exists in nature in this form, then no. Hi Evik, thanks, sorry but I don’t know this ingredient at all. But you know glycerin also doesn’t exist in nature either, but it is considered harmless and ‘ natural’. Do you know what I mean? Isopropyl myristate is an ester of isopropanol (alcohol) and myristic acid (fatty acid from oils). It is derived synthetically. It is used in lot of cosmetic and pharmaceutical formulations to enhance penetration to the skin. It is pretty safe, but I don’t really know where to draw a line and say this is acceptable and this is not. It is very personal. See, glycerin is also considered natural as you said, however, you can be allergic to it. Also if you eat glycerin, you can get diarrhoea. 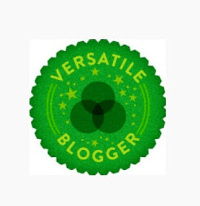 So how do we define harmless? Non-toxic, non-carcinogenic, something that does not kill you? Have a look here: http://ijt.sagepub.com/content/1/4/55.abstract It seems that IPM is pretty safe.